Get ready for Black Friday & Cyber Monday CRAZY Sales! Pssst! Anybody there? Black Friday and Cyber Monday are just around the corner and we wanted to give you a heads up about the upcoming sale on our IshYoBoy shop! 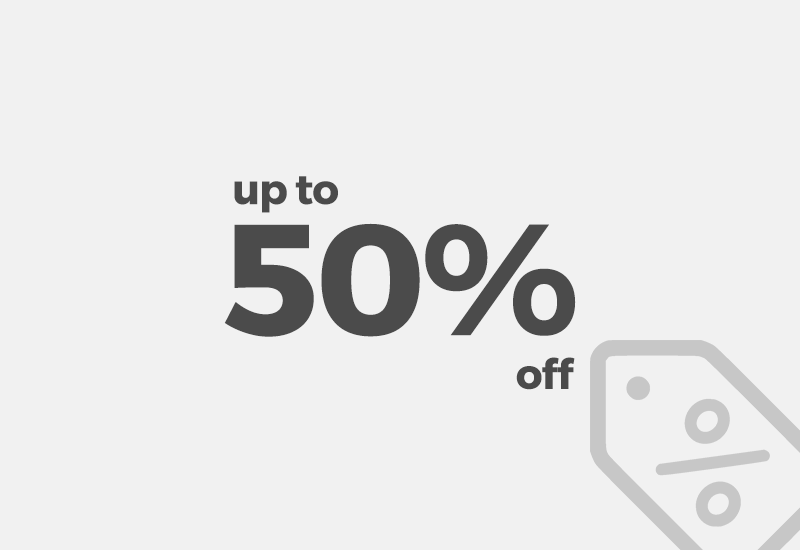 Use our special limited offer and get up to 50% off! So what to expect? 50% off for 3 and more themes! How to pick the right WordPress theme for your project? We have a wide variety of WordPress themes in our portfolio. From corporate multipurpose designs through creative, flat portfolio themes to unique blogging themes. Let us help you decide which theme would be suitable for you! Some of our themes are built with Visual Composer to make it super easy for WordPress newbies to create the desired Layout. Some themes have MegaMenu implemented, so you can go crazy with items in the main navigation. 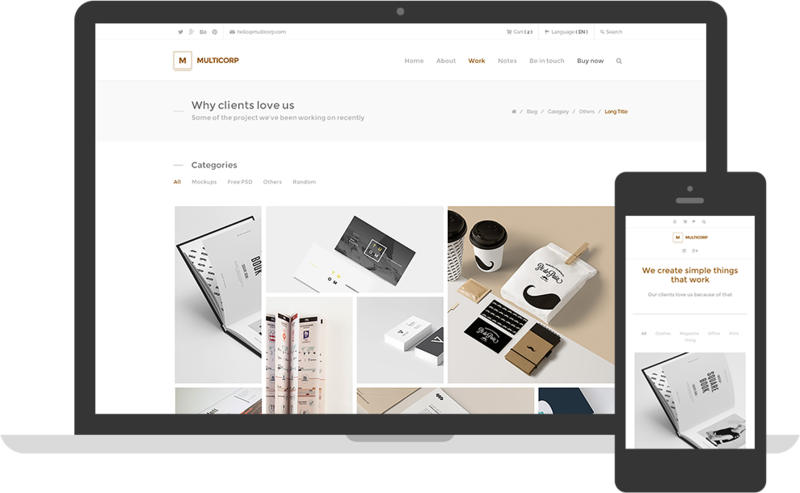 Almost all themes are compatible with WooCommerce Plugin, so you can run a beautiful e-shop right along with your general website. Others are very simple themes made to be minimal and have the exact amount of necessary options. 1. Fast and Simple Portfolio Themes! In this category we present themes which have no Visual Composer built in. These themes are made to be fast, simple and to provide you with the exact design you see on our live preview. Just import the demo content, change the texts, change the colours, change the images and your website is ready! 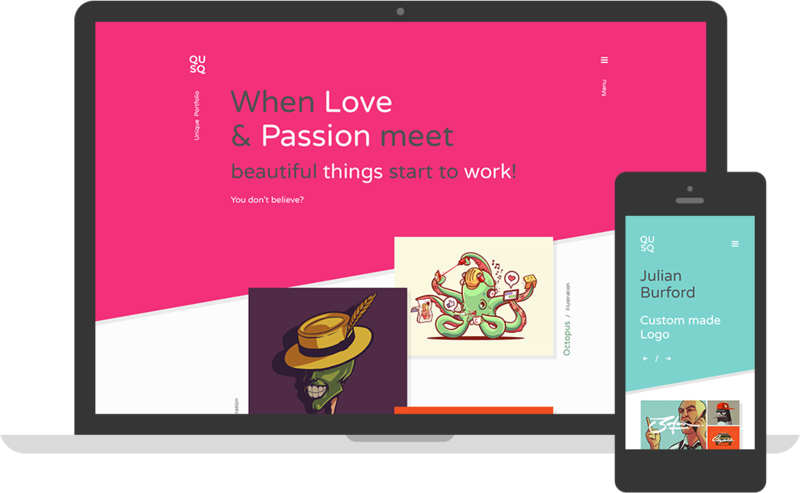 Qusq Pro is a unique colorful portfolio WordPress Theme with neat parallax effects, perfectly suitable for designer, freelancers, web-developers and creative teams. If you want to present your work in a little different and mainly colorful way than all others, the Qusq is for you! Creolio WP is clean and decent personal portfolio and microblog WordPress theme perfectly suitable for designers, artists and photographers. It has a unique design with big fonts and contrast colors! Again expect no Page Builders, just the standard WordPress Editor and a few shortcodes! Our WordPress themes were built with the use of Visual Composer drag and drop page builder. They have many Theme Options allowing you to control every aspect of the theme right from the WordPress administration. These themes are made to give you maximum freedom and with 1 theme you can make many many differently looking themes. Moreover they are 100% compatible with WooCommerce eshop plugin. Just try them out. Discover the Elite between themes! Multicorp will help you build your agency website in minutes. Customize all elements directly from the theme and enjoy the limitless combinations. The design is very clean and corporate, suitable for agencies and business websites. 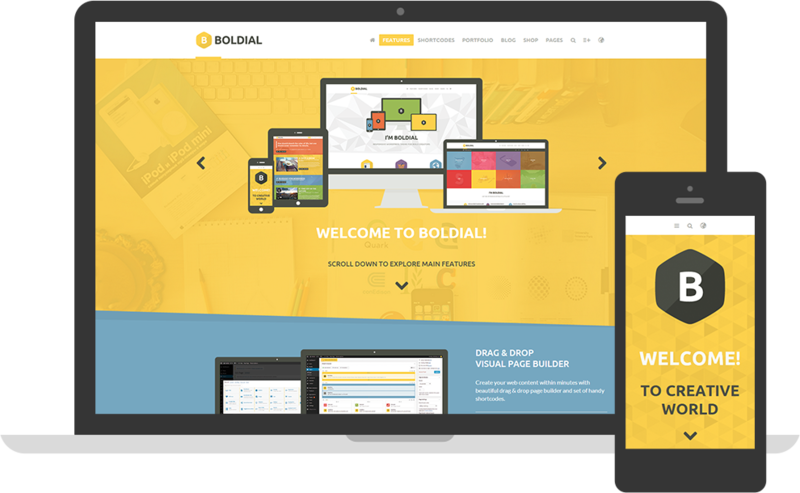 Boldial is flat and creative WordPress theme dedicated to all folks who love colours. It is our best-seller and is powering many many websites out there! Be bold and bring colour to your website! Be Boldial! Not into portfolio or corporate themes? Just want to write and share your life stories? These themes will be the right for you! 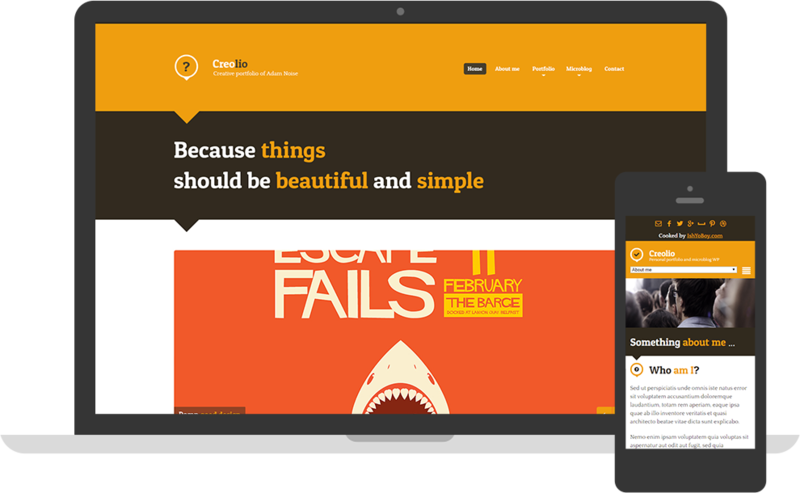 Kopy is simply a blogging WordPress theme for those who want to share their beautiful stories. Have a look at its nice and slick design! Whether you are a traveller, explorer or a creative person, Kopy will help you share your stories. 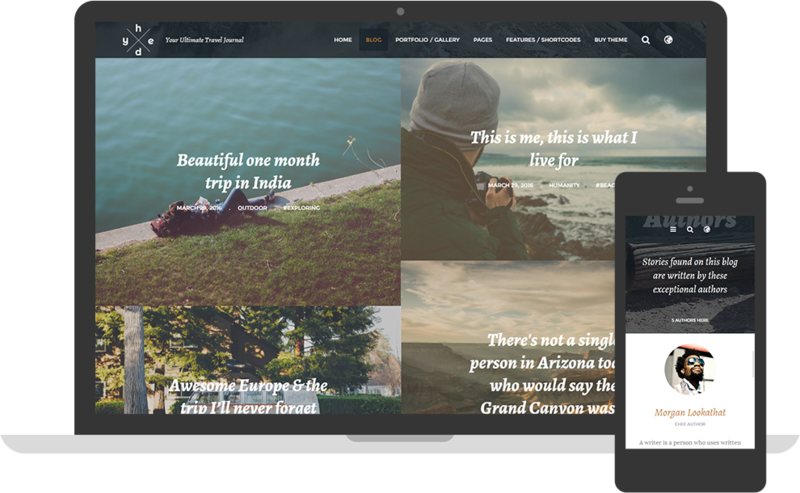 Hedy is a blogging WordPress theme for travellers or for the ones who often share their stories. The design is clean and well organised. Featuring beautiful gallery and big images Hedy will help your blog look amazing! Having a WordPress eshop is a straightforward task. 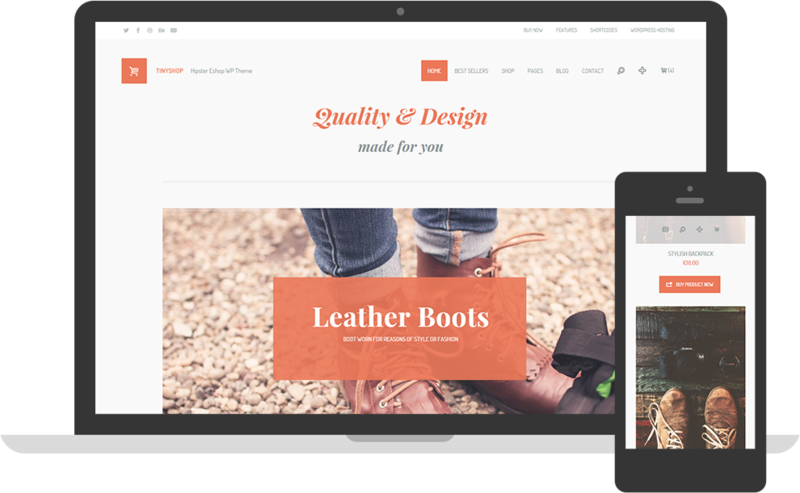 Simply use one of our themes designed specifically for e-shop only, or choose from the ones that are WooCommerce compatible. In both cases your shop will look beautiful and will make it super-easy for you to sell goods all over the world. Tinyshop was a theme built especially for WooCommerce. It’s content is styled with “Hipster” theme in mind, but you can as well sell clothes, flowers, digital products, photos services and basically anything. Also by being able to modify the colours, fonts and overall layout your shop might look completely different in the end. The main advantage Tinyshop’s ease of use allowing you to quickly organise your content as you need it. 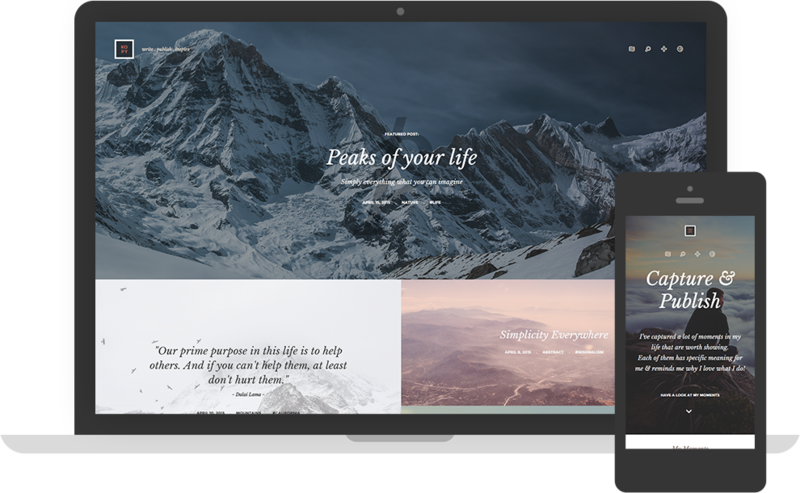 Make sure to browse through our WordPress Themes list and see the specifications of the theme you like most. Almost all themes are WooCommerce compatible, except the blogging ones. In addition, all our WordPress themes are responsive, which ensures perfect designs on mobile devices. Moreover all our WordPress themes are made with SEO optimisation in mind, allowing you to focus on the content and its impact on SEO! They are perfectly compatible with 99.9% of all plugins out there, to let you enhance your website’s functionality if needed. Hope this overview helps you chose the right theme for your website or next project! Now with the amazing 4 days sale for Black Friday and Cyber Monday!